If your efforts to track down long-lost relatives and obscure musicians (or anyone else you’re looking for on the web) stop at Googling their name then you’ve come to the right place. Here’s how to seriously go about searching for people online, including some advice from the professionals who do it for a living, and if you’d rather not be found than read on to understand exactly how the pros go about finding those who’d prefer to stay hidden. A quick note before we get started: Many people in this world want to be left alone, and you should respect that—these tips are not intended to help you stalk an ex or relative who has made it pretty clear they never want to see you again. Google is still the first, best step, when searching social media. The time-honored trick of putting “john smith site:facebook.com” into Google can, in some cases, work better than Facebook’s own internal search, especially if you can add a location to the search string as well. While we’re talking about Google, here’s another trick: if your normal search doesn’t reveal anything of note, switch to the Images tab—you might find you have better luck (assuming you know what the person you’re trying to find looks like). Facebook, Twitter and LinkedIn are all well worth digging into, and in each case there are little tweaks you can make to your searches. For example, on the Facebook search results page, use the filters down the left to narrow down results based on place and time—even if the person you’re looking for hasn’t posted recently, you might uncover some of their older posts. Twitter has a people filter on its search, like Facebook does, as well as an advanced search page. So you can just drop in a name to get to sleuthing. If you can’t find someone through the normal method, try restricting results by date or by location. You can even search for tweets to a particular account, which could be useful if you’re looking for someone who loves @ladygaga. On both Facebook and Twitter, you can block anyone from finding you via your registered email address or phone number, but a lot of people don’t bother—try typing a friend’s cell number in the Facebook search box and see if that person comes up. Bazzell’s Intel Techniques website has a host of free tools you can use to dig into the data on Facebook, Twitter, LinkedIn, Instagram, and other places. You can, for example, search for people who worked at a particular place or attended a particular school, get Facebook accounts linked to a Twitter account, and look up Twitter accounts with multiple friends in common, all through records that are publicly available. 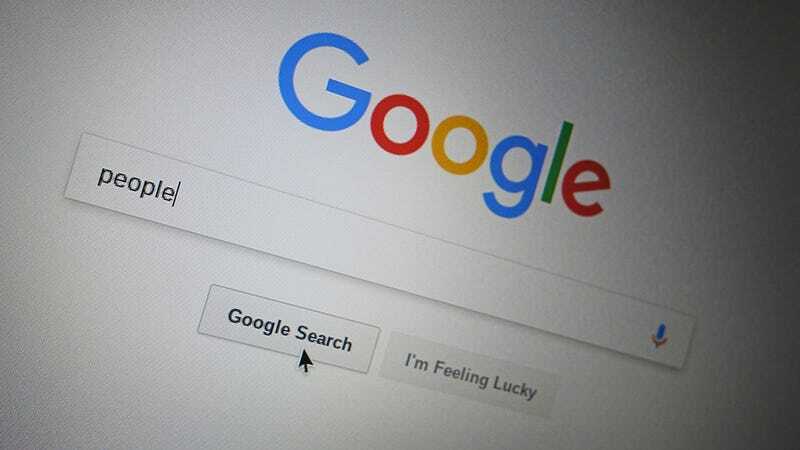 You can also run searches based on email addresses and telephone numbers, as we’ve already mentioned, look up public documents on Google Drive and Scribd, and get contact details from a domain name, if they’ve been publicly registered. The moral of the story is, you can search for much more than a name. If you’re not getting anywhere with your initial searches, you need to think a little bit out of the box. As we showed with the head of the FBI, the accounts of relatives and friends can lead you right to the person you want, even if that person is well hidden—the network of tags, likes, and retweets goes pretty deep on Instagram and Twitter, places where most content is public. Say you want to find that your step-aunt but they’ve remarried or changed their name. So start with your cousins (if you can find them) and check out their likes, follows, and followers, as well as the other accounts they’re tagging and replying to. If we can find James Comey in the space of four hours, maybe you can find Aunt Myrtle. If you can connect with an individual who is somehow linked to the person you’re looking for, a lot of social networks will instantly throw up a list of other recommended contacts, which may lead you closer to whoever you’re seeking out, or at least give you clues about how to track them down. If the Google trail is dead, try alternatives such as Bing and DuckDuckGo, then try search engines that go deeper—WebCrawler, DogPile, and Monster Crawler are three examples to try, and of course you have the WayBack Machine that can turn up pages that have since been removed from the internet. Pipl is another engine recommended by our experts, and goes beyond the results you’ll get from standard search engine, as well as adding useful filters for location and age. Just don’t always take everything you see at face value: Information might be “inaccurate, incomplete or outdated” says Giglio, so run several checks if you can. All those browser extensions designed to make it easier to do some professional networking, by showing you contact info that is often hidden, can also be mined for information as well. The likes of Prophet, ContactOut and Discoverly can help you turn a little bit of information into a lot more—try installing any of these browser add-ons and see the difference it makes as you look up people on Facebook, Twitter, LinkedIn, and elsewhere. Both Bazzell and Giglio point to dating apps and websites as useful ways of tracking someone down online. Of course these apps don’t let you search by name, but you can look around based on location and gender. Profile pictures and usernames (or variations on them) are often reused across multiple sites, which means if you can get one bit of information it can often lead to other places. Using reverse image searches it’s not too difficult to find if one particular profile picture has been used somewhere else on the web. Many dating app profiles are going to have social network accounts attached too. Think about forums and communities that your person of interest might belong to. A local boating society? A dramatic arts group? Searching for pages and forums relating to areas and interests can turn up promising leads—remember you don’t always have to look for your individual directly, because someone who knows them or used to know them might do just as well. We haven’t yet mentioned the people finder directories online, like 411.com and PeopleFinder.com—results here can be hit and miss, and payment is often required before you get very far, but you might dig up some useful nuggets of information. Just be sure to double-check that the information you’re after isn’t available in public records before you hand over any credit card details (Giglio says most of the data these sites offer is available for free somewhere else). Both Bazzell and Giglio admit that finding people online isn’t always easy, but with enough perseverance and luck you can turn up more information than you might think.... and their final piece of advice was perhaps an unsurprising one—if you really want to find someone, call in the professionals. And if someone really doesn’t want to be found respect that wish.